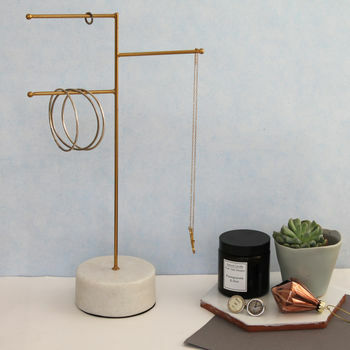 A stunning three-arm jewellery stand. 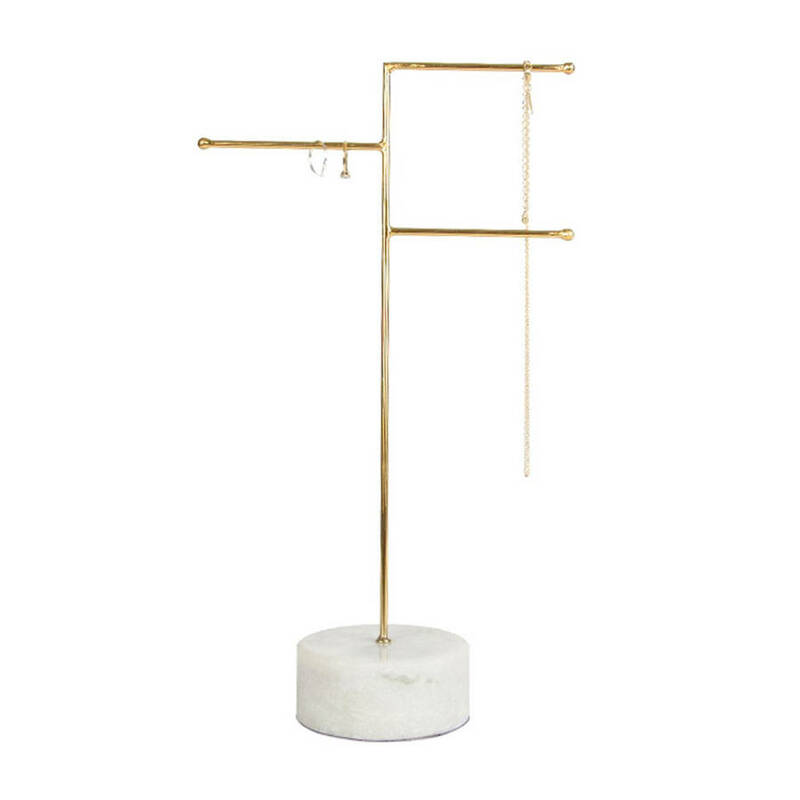 This brass jewellery stand with marble base will make a lovely gift for a special someone. 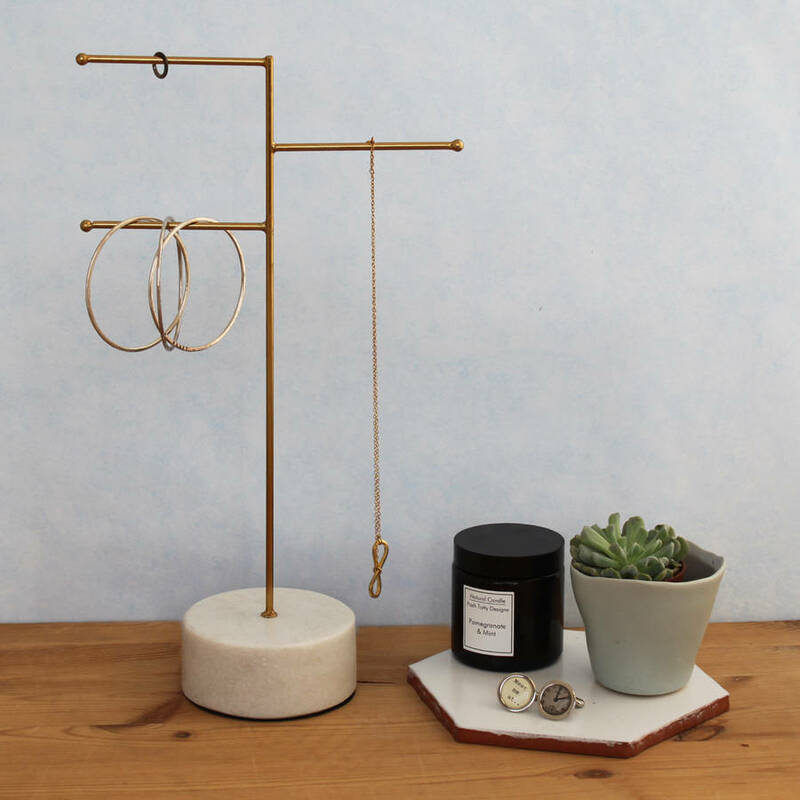 It has three staggered arms and is an easy and decorative way to store and keep your favourite necklaces, hanging earrings and bracelets knot free. 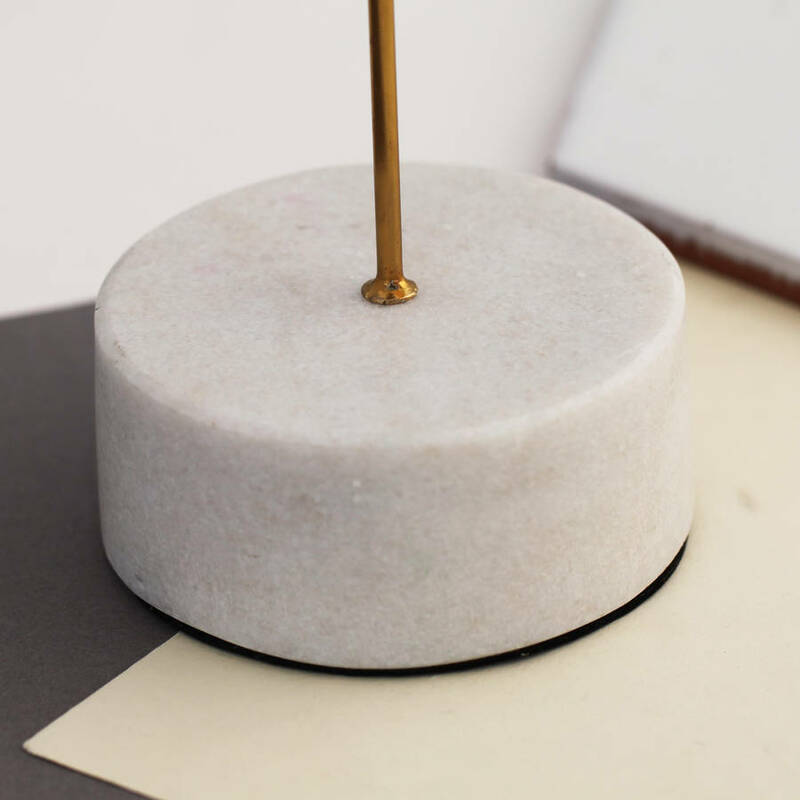 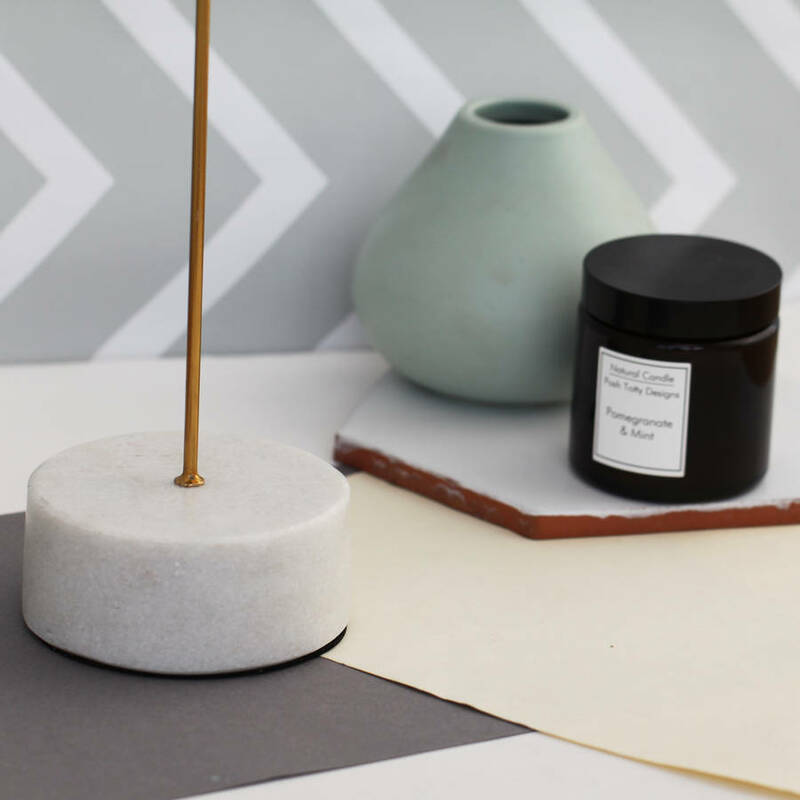 It will add a finishing touch to a dressing table or a shop display. A simple yet opulent design- perfect for any minimalist.